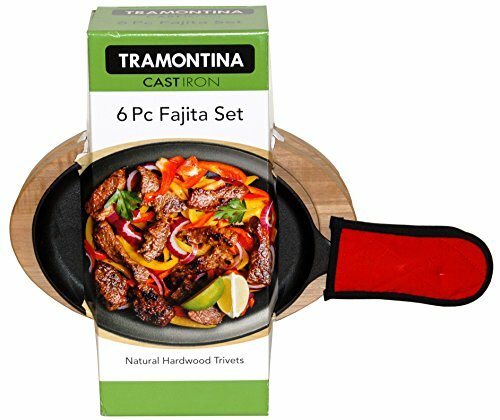 Cook up delicious Mexican fajitas with this set for everyday meals and parties. This set includes two pre-seasoned cast iron fajita pans, two hardwood trivets and two handle mittts. The cast-iron fajita pans are oven-safe up to 450°F (232°C). Authentic 10" fajita pans; 16.25" x 4.75" x 14.5"